Grab this beauty before it's gone! 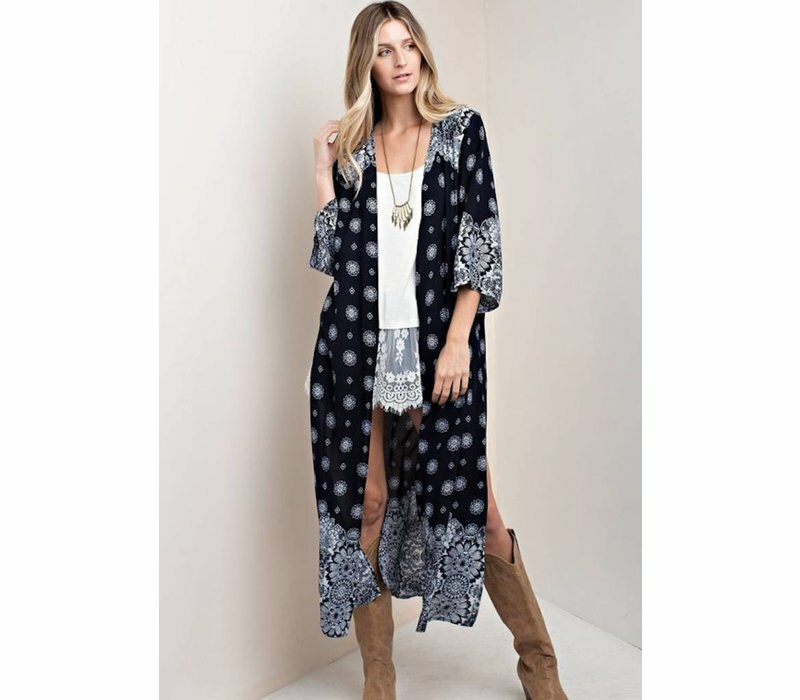 Last time, this pretty kimono sold out in just 2 days! 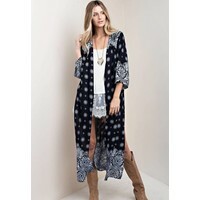 New Navy with white medallions and boho print detail.